South and North Korea have agreed to push forward with inter-Korean railway projects during talks held at the Peace House on the southern side of the truce village of Panmunjeom on Tuesday. The agreements were made based on the reaffirmed joint stance that cooperation on railway projects is significant in fulfilling the balanced development of the Korean economy and joint prosperity. 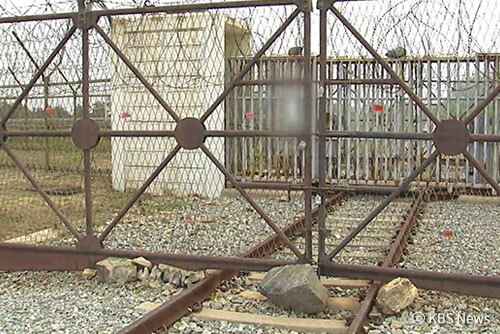 As part of preliminary efforts, the two Koreas agreed to form a research team and conduct joint on-site inspections of the North Korean railway sections. The joint field inspections will begin on July 24th with the Gyeongui Line and extend to the East Sea Line. The two Koreas will also jointly inspect the Munsan-Gaeseong section on the Gyeongui Line from the middle of next month, followed by the Jejin-Mount Geumgang section on the East Sea Line. Based on the inspections, the two Koreas will take follow-up measures to build related infrastructure around the stations and install the necessary traffic and communication systems. The inter-Korean discussion on cross-border cooperation on railroads was the first of its kind in more than ten years. 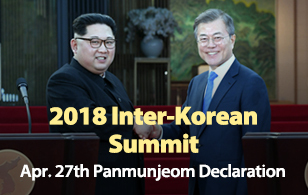 It was a follow-up effort to the Panmunjeom Declaration produced at the inter-Korean summit in April, in which the two sides agreed to actively implement inter-Korean projects agreed upon during the previous summits.